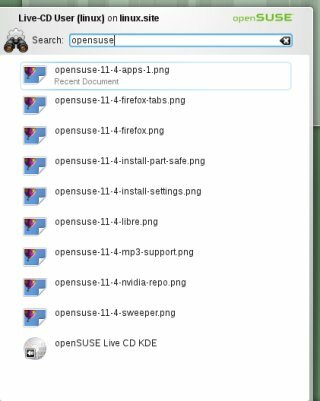 openSUSE is one of my favorite household distros. Alongside Ubuntu, it serves my Linux needs well and true. Now, version 11.4 is out and it seems to be making a lot of good noise all over the place. I had to test it, of course. In fact, I was so impressed by initial feedback, other reviews and the official release notes that I did not bother testing on the so-called abuse machines and went straight for an installation on my LG510 box, which boots four systems internally and another five externally. 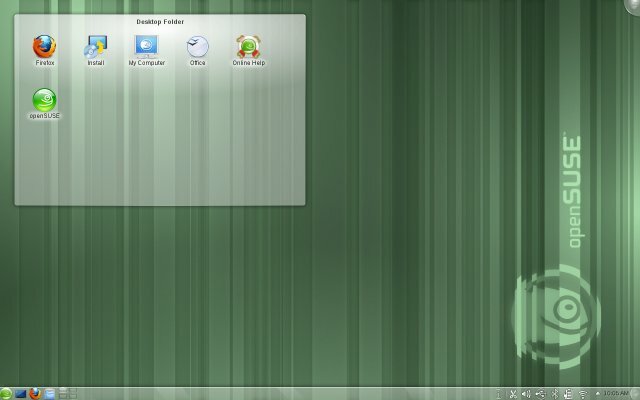 As such, openSUSE 11.4 KDE 64-bit replaces an openSUSE 11.2 Gnome installation. All right, this is going to be a very long review. Most websites would split this kind of article into six or seven pages to garner more traffic, but I won't. You get everything in a single has-it-all page. At first I thought, KDE4, ok ... who cares. Seen it, done it, didn't like it. But then, I booted openSUSE 11.4 and I was amazed. It is simply a quantum leap above everything else. Done with style, grace, forethought, and an unprecedented level of aesthetics you would not expect from anyone outside the home of Mac. And yet, openSUSE 11.4 KDE does it. For someone who is essentially a Gnome person, this is a doubly triple surprise. Even the default wallpaper is good, you really don't want to change it. The system menu is smart and fast and comes with inline search. Works great and does the magic and wonders you expect. They all worked fine, except that Wireless takes an extra two clicks to configure, which is annoying. Why can't you have it as simple as Gnome? On the good side, Samba is faster than before, really quick. All other KDE4 distros lack this - but not openSUSE. You can disable the Touchpad tap functionality without messing with the command line, as it should be. Damn right. Well, I was so excited, so I went for the installation right away. Yes, openSUSE boasts the smartest Linux installation by another quantum leap. This attempt only reinforced my observations. Designed to prevent less knowledgeable users from ruining their data. 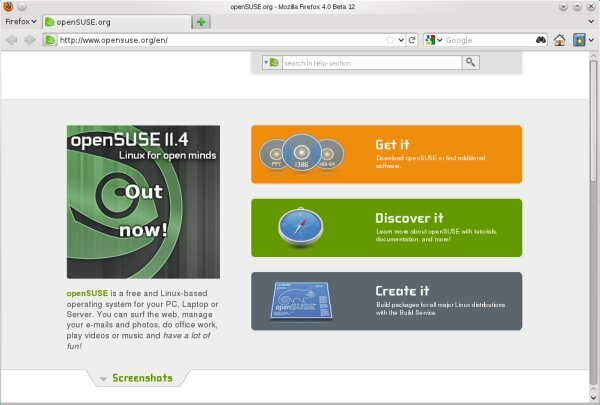 There was an openSUSE 11.2 installation already present on the disk. The installer smartly allocated this partition as the new root. Then, it also pointed the home directory to an existing /home partition, which serves several other distros on the box. The partition was only selected but not marked for formatting, which shows the safe settings at work. The GRUB bootloader was also not installed into the MBR sector, because there was already another bootloader, GRUB2 on the machine. 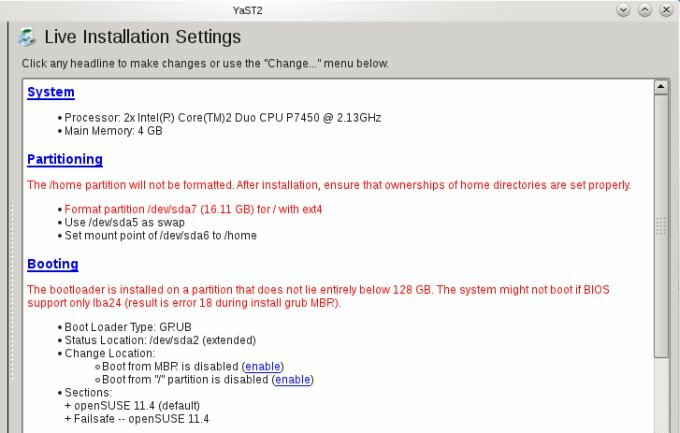 Therefore, openSUSE recommended placing the bootloader into the Extended partition, but also warned that older BIOS might have problems booting from a sector located beyond 128GB. Well, I've mentioned this in my very first SUSE article, although LBA thingie was restricted to 8GB back then. Simply great. No other distribution offers this level of clarity and safety for less skilled users. This is not a new thing, though. It existed back in SUSE 10.1 and carries on happily to this day. As expected, After that, the installation completed smoothly. Superlatives tend to sound fanboyish, but try to grasp the enormity of a revolution here. I am not a KDE4 fan. If anything, I'm an un-fan. And yet, I'm really, really liking the overall KDE integration in openSUSE 11.4. It's smooth, smart and elegant. It's fast and snappy. It's created with a ton of forethought. Just amazing. 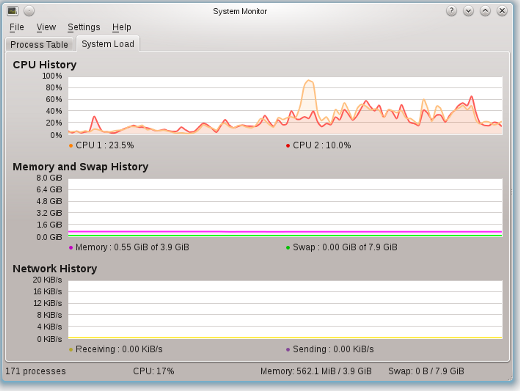 I never thought there'd come a day when I might consider using KDE4 on a permanent basis, but here it is. openSUSE comes with a very rich and varied arsenal of programs. Even though I have tested only the live CD version, the distro contained LibreOffice, Firefox 4, Amarok, GIMP, GwenView, Marble, and many other goodies. 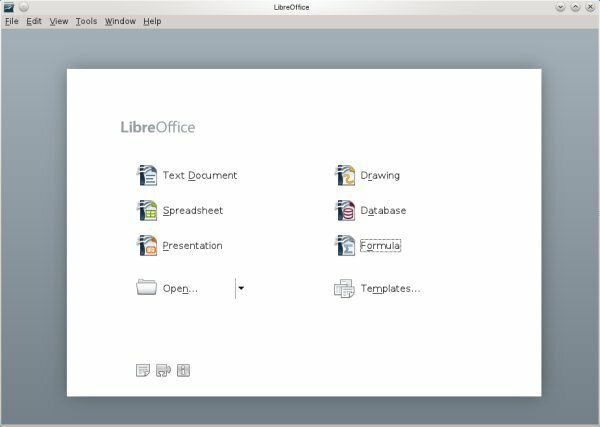 It is also officially the first big distro to ship with LibreOffice. Firefox 4 choice is questionable, since it is still beta. Or rather, it was beta when it was packaged and when this review was actually written. By the time you read this, Firefox 4 will have already been released. Speaking of Firefox 4, it actually looks better than its Windows counterpart. Status bar is gone, but if you install Status-4-Evar addon, it will come back and actually contain addons icons. Tabs on top can be switched to the bottom, so you don't have to be a monkey like everyone else, and the File menu can be hidden, which was previously impossible the last time I was testing the program on Linux. Ksnapshot comes with a ton of Send to options, turning it from a simple screenshot utility into an interactive beast. Now, you don't want to be using social stuff, but if you must, it's all there. Flash is enabled out of the box. The first time you fire up Amarok, it will tell you it does not support MP3 playback yet and offer to search for codecs. This is very similar to Ubuntu setups. Sun Java is installed, too. 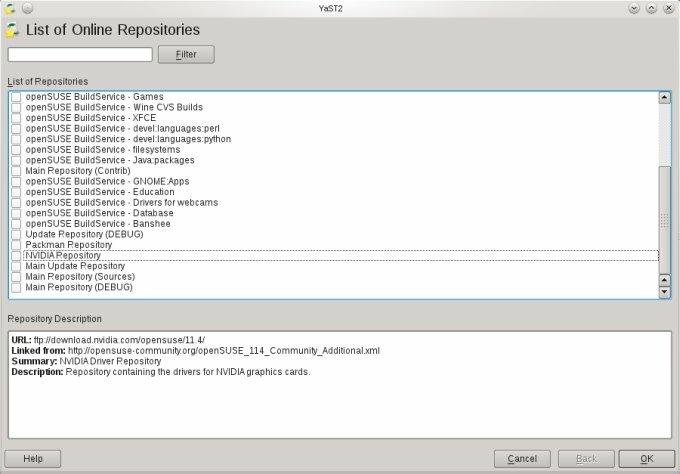 I had to enable the Nvidia repository in the Community Repositories list to get the drivers for my 9600M GS 512MB card. 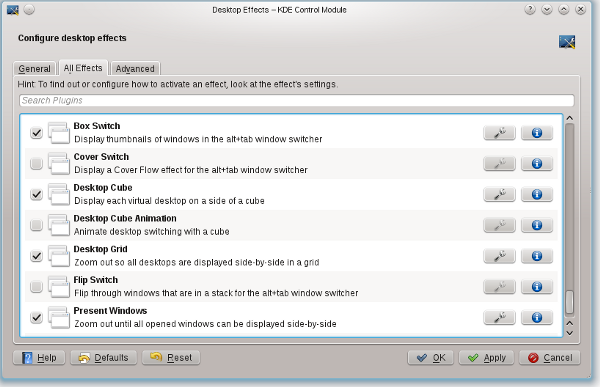 More info how you can do this in my older openSUSE 11 review. The installation worked without any issues. Reading online, I found that some users running a 32-bit version of openSUSE were reporting troubles with the latest Nvidia drivers, but I have not observed any such problems with the 64-bit installation. I also tested a handful of games, to make sure my graphics card was working properly. To that end, I chose Enemy Territory Quake Wars (ETQW), a splendid cross-platform shooter, which I've reviewed in the past, and openTTD. Worked like a charm. After games, time to check desktop effects. 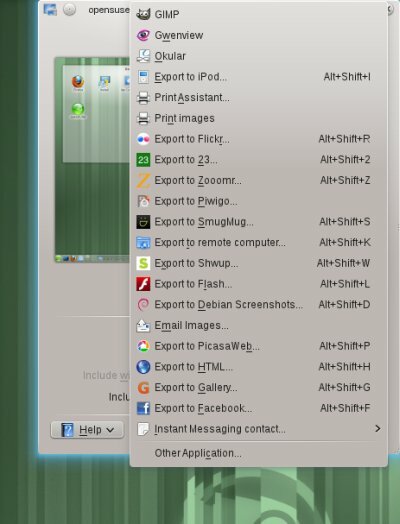 In fact, you don't need to install Compiz separately, as KDE4 comes with its own arsenal of equally good and fancy effects, just waiting for you. Another gem. 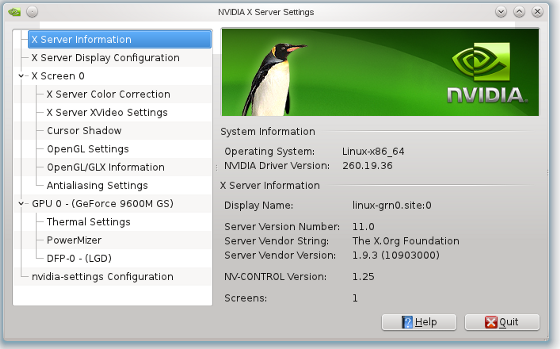 openSUSE 11.4 now officially supports both KVM and Xen out of the box, which is very neat. 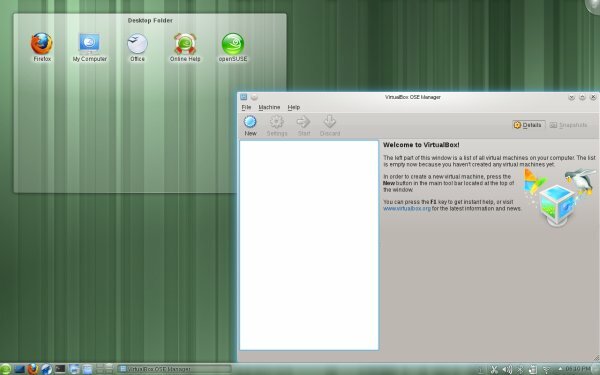 There's VirtualBox in the Community repos and you also get drivers for VMware Workstation and Player. This is more than any other distro. 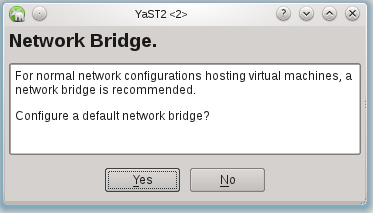 Better yet, you also get an automatic bridge network setup. 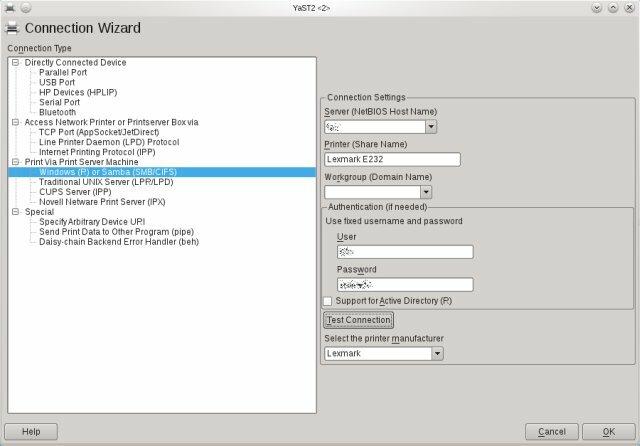 I might also configure VMware Workstation on the host. Tons of tutorials on Xen, KVM and other virtualization solutions all coming soon, so stay tuned. The package manager is now fast. Not just faster than it used to be, but snappy and responsive, as you would expect from a bleeding-edge distro. Just as good as apt-get on Debian-based systems. This is a phenomenal achievement. You no longer have to wait long hours for YaST to finish its cooking, it shakes and bakes instantly. 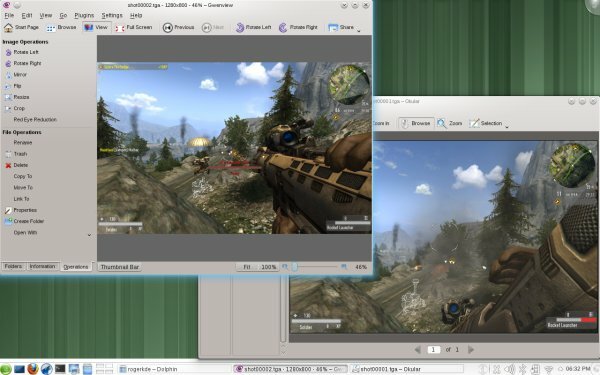 The system takes about 500-600MB of RAM on idle on a 64-bit machine with a proper discrete graphics card, which is 50% more than a typical Gnome session. Therefore, KDE4 is hungry, but in return, you get speed. openSUSE 11.4 KDE is FAST. Works fine, but somewhat convoluted, old-school like. Quite a few serious, winded menus, with just too many steps. A common user would NEVER manage to print on openSUSE without serious help from experts. In this regard, the Gnome easy printing implemented in the latest Ubuntu, Mint or Fedora are a much better solution. There's no such a thing as perfect, but a friendly scan of the local neighborhood and less verbosity could yield better results. There's one detail that redeems the printing affair a little and that's the automatic warning that the firewall is blocking incoming server requests. No other distro that I know of proactively informs the user that there might be firewall issues. Not all is golden. There were some problems. This was the one really bad thing. Marble, my favorite virtual globe a-la Google Earth software crashes consistently whenever trying to open any map view other than the default selection. I have not explored too deeply. Other than this one program, there were no other crashes. So far, the one KDE4 distro that remains crashless in my book of records is Pardus. Once in about three or four suspends and subsequent resume, the system screen would go black and unresponsive after about 15-20 seconds upon restoring the session. Again, I've not explored too deeply. These issues used to happen in the past with other distros, which might indicate they are related to the specific hardware setup, most likely the graphics card, but they have been ironed out in the latest Ubuntu and Mint release. Hence, it seems that openSUSE lags a little in the hardware domain. Not cardinal, but still not a good thing. Let's see how good openSUSE 11.4 KDE is in the global context. There are many aspects we can compare, so let's stick to beauty, performance, stability and, usability. 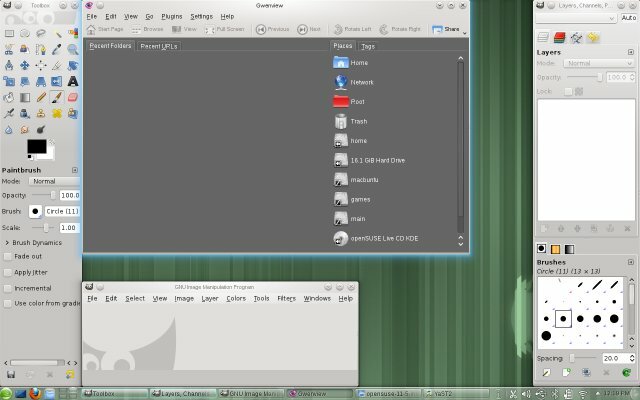 Beauty wise, openSUSE 11.4 takes the lead from Pardus at being the best KDE4 distro around. It's so polished that it gleams. A feast for the eyes. The fonts are big, as they ought to be. The desktop is well laid out, the colors are smart. As someone with a deep aversion to KDE4 smoky, glassy looks, I'm genuinely impressed by the change. 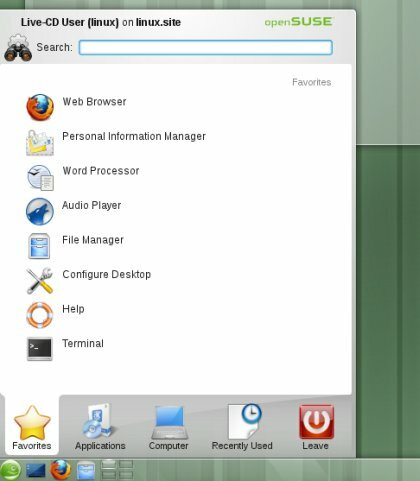 I could not believe myself, but here I am, using AND enjoying KDE4. Performance wise, openSUSE 11.4 is on par with Gnome-based Mint Julia and Debian and Maverick, which is an excellent achievement, considering the fact KDE is a heavy desktop environment. Still, it takes more RAM, but if you have enough, you'll enjoy a very brisk and revvy experience. This is the first time I can genuinely say that KDE4 is proper fast. Stability is still the sore point of KDE4, if not openSUSE itself. Nothing drastic, but occasional crashes now and then in pretty much every single distro save Pardus speak of the complexity of the environment. Marble crashes made me sad. The intermittent sleep & resume problems might be related to the graphics card driver, but they are still not a good thing. It's still early to tell, as the distro just launched and fixes could be a-coming. Comparing to Ubuntu and Mint, I'd say they take a small stability lead over openSUSE, if only because of the sleep & resume problems. Usability wise, openSUSE feels corporate, which is why you get some extra work configuring your desktop. Nothing major, just getting your MP3 plugins in order, approx. about as much work as you needed to setup Karmic or Lucid. The rest works. The system menu is smart and as good as mintMenu. However, printing leaves a lot to be desired. There's also the network thingie. openSUSE shares the same KDE4-related Wireless network configuration nuisance that I observed in Pardus, and for that matter, Sabayon. It's the unnecessary annoyance of having to do some extra clicking to get it working. Thus, I'd dub Mint still the king of desktop, very closely followed by openSUSE and Ubuntu in the second place and shadowed by Pardus. You may thing this is a bad thing, but it is in fact a phenomenal achievement, all considered. 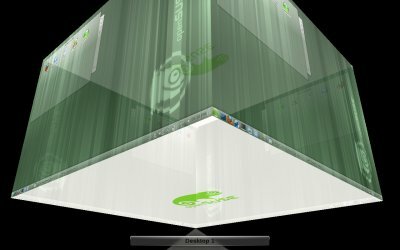 KDE4 on top of openSUSE is a revolution, combined with an extremely classy desktop that will probably appeal more to Windows users than Mint. But while Julia is the lazy man's dream, openSUSE 11.4 is the mature, sober and posh productivity distro. If the printing is made easier and Marble crashes and suspend & resume issues resolved, openSUSE 11.4 will tie for the crown place at the top of the Linux hierarchy. openSUSE 11.4 is really, really good. There are many things that it is simply no.1; best looking KDE4 distro, fastest KDE4 distro, safest installation, best virtualization support, friendly clues for newbies. Unfortunately, the perfect score is reduced by a small number of annoyances, like suspend & resume intermittent problems, Marble crashes, and printing complexity. But in general, I'm utterly pleased by this distro. It is surely one of the best releases in a long time. I think that Novell surpassed itself with openSUSE 11.4. If a Gnome head like me can love KDE4, then someone did a good job somewhere. In fact, if you want to convince your Windows users to switch, this is the distro for the task. Seriously, they will find the transition smooth, logical and beautiful. Well I'm loving every minute of it. Such a great surprise, although rather expected. This is one of the top choices for you, but it doesn't get the top score. The small issues that arose chip away from the vaunted accolade. Hopefully, they'll be sorted out soon. I'll keep you updated if things get better and perhaps 10/10 can be granted after all. For now, the final grade: 9.7/10.